After the Ondoy, Pepeng, Ramil and Santi, i believe NOW is the best time to have your business insured! I've been hearing lots of unfortunate events that has happened to residents and the same way to business owners, Nobody was spared with these Acts of God! Good thing for those who are insured and BAD news for those who are not! you are all insured!Better be safe! For more info on business one, please feel free to call Richard Ng at 5153823 or 09188742742. 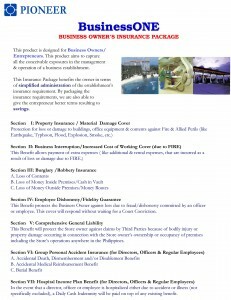 You may also comment here or email at richard@insuranceexperts.ph.